at the press of a button! -30-40% with Vendinvest vending machines! product usage is way higher than needed? See how Vendinvest machines can cut your costs! Our vending machines can be tailored to the size of your company/facility, the type of products you need and the amount you use. Your company can achieve better on its most important fields of expertise by using our vending machines. 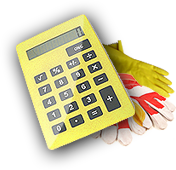 Use our cost savings calculator to determine your savings potential! Tell us what you need and we will design a solution! Request a toolkit and use it with our vending machines. This cookie stores the user decision to enable targeting and advertising cookies in the privacy pop-up window. By collecting user-level behavioural data, these cookies allow us to display relevant offers to our visitors.